What bugs can you catch from your pets? Household pets are often a great source of joy and have positive effects on our mental well-being. For most of us, this outweighs the risk of coming into contact with the bugs they may carry. Vincent Ho does not work for, consult to, own shares in or receive funding from any company or organisation that would benefit from this article, and has no relevant affiliations. Household pets can host a number of organisms that cause parasitic, bacterial, fungal and viral diseases in humans. These animal-to-human diseases are known as zoonoses. Bites and scratches from pets can lead to diseases such as pasterurellosis and cat-scratch disease; while psittacosis or parrot fever is contracted when humans breathe in aerosolised droplets containing secretions from infected birds. But the most common zoonotic diseases come from parasites and bacteria that are transmitted through the gastrointestinal route – by touching the pet or litter tray and then your mouth. Don’t worry, the risk of catching these diseases can usually be mitigated by washing your hands. Toxoplasmosis is one of the most common gastrointestinal zoonoses; around 23% of the United States population has been infected. Contamination can occur if you prepare food or touch your mouth and haven’t washed your hands after being in contact with plants or soil in the garden, a cat, cat faeces, or the cat litter box. Toxoplasmosis is caused by the single-celled parasitic organism Toxoplasma gondii. The parasite undergoes sexual reproduction in cats and is excreted in faeces as a thick-walled structure known as an oocyst. Oocysts passed in a cat’s faeces are not immediately infectious to other animals. They must first undergo a process called sporulation, which can take one to five days depending on environmental conditions. But cats aren’t only to blame: adults most commonly acquire toxoplasmosis by eating raw or undercooked meat infected with oocysts. Make sure your meat is properly cooked to reduce the risk. Toxoplasmosis in adults is usually asymptomatic. But people with suppressed immune systems – the elderly, those on immunosuppressive drugs and people with AIDS – are most at risk of flu-like illness from infection. 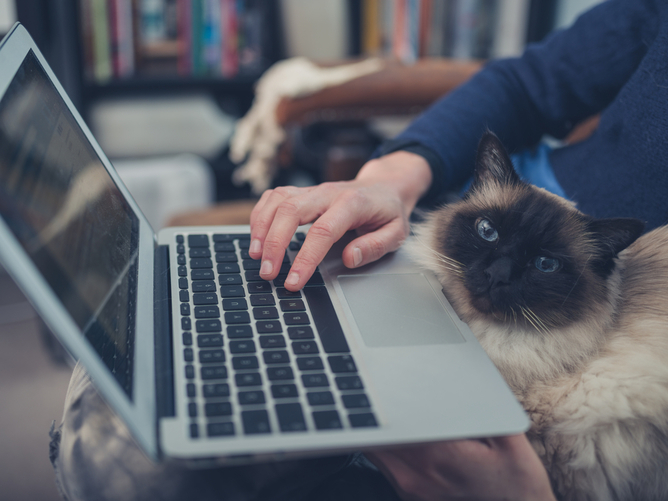 If pregnant women are infected during the first trimester, it can cause serious congenital infection, so it’s important to avoid cat litter altogether. Toxocariasis is a zoonosis caused by the parasitic roundworms commonly found in the intestine of dogs (Toxocara canis) and cats (Toxocara cati). Toxocara is one of the most common zoonotic infections in children worldwide. Of most concern to humans is Toxocara canis, which puppies can contract from the mother before birth or from her milk. Toxocara larvae mature rapidly in the puppy’s intestine. When the puppy is a few weeks old, they begin to mass-produce large numbers of eggs. These eggs then contaminate the environment through the animal’s faeces. Young children become infected by ingesting soil contaminated with animal faeces that contains parasite eggs in areas such as playgrounds and sandboxes. Most human infection is asymptomatic, in part because the toxocara larvae cannot complete their life cycle in humans. However the parasite can migrate to the liver, lungs and eyes, where it can cause damage. Hydatid disease is caused by small tapeworms (Echinococcus granulosus) that live in the intestine of dogs, dingoes and foxes. This worm spreads from dog to dog, exclusively via an intermediate host which are usually sheep, horses or kangaroos. When sheep eat the worm eggs from pasture contaminated with dog faeces, these eggs will hatch inside them and form watery “blisters” known as hydatid cysts. These cysts are usually in the offal (particularly the liver and lung), and when a dog then eats them, the life cycle is complete. In dogs, the hydatid cysts burst and tapeworms mature in the gut. There can be thousands of mature tapeworms inhabiting the gut of infected dogs. Each worm can shed eggs which are passed from the body in faeces. People usually become infected by accidentally swallowing the tapeworm eggs passed in dog faeces. A human acts as an intermediate host in the same way as a sheep, horse or kangaroo. Hydatid disease in humans occurs when large cysts invade various organs, particularly the liver. Symptoms include abdominal pain and chest pain. In some cases, it can affect the brain, bones and heart. 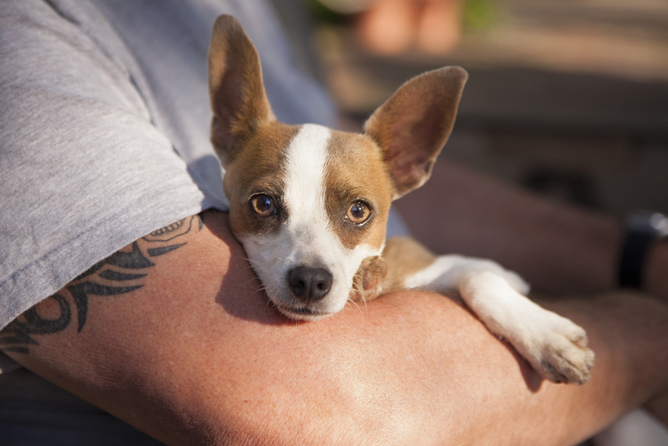 The most common bacterial infections transmitted from pets are campylobacter and salmonella. Many animals, including cats, dogs, chickens and rabbits are carriers of campylobacter. Transmission between pets and humans is gastrointestinal (via the faecal-oral route). Children aged under three years are at an increased risk of developing campylobacter gastroenteritis if they live in a household with pet puppies or chickens. Salmonella naturally occurs in the gastrointestinal tract of reptiles (such as lizards, snakes, and turtles) and amphibians (frogs and salamanders are examples) but they are asymptomatic carriers. Studies have found that as many as 94% of all reptiles and amphibians carry salmonella. In fact, reptiles and amphibians are estimated to account for 11% of all sporadic salmonella infections among young people aged under 21 years. Salmonella is also common in cats, dogs and live baby poultry. 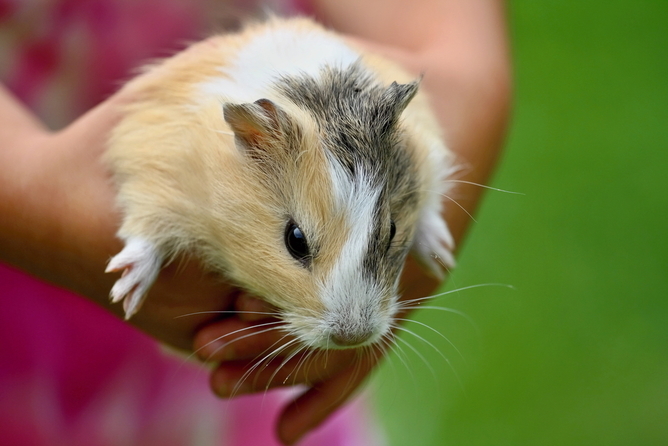 Outbreaks of multi-drug-resistant salmonella have been traced to infected pet rodents. Children, pregnant women, the elderly and those with a weakened immune system are more at risk of acquiring gastrointestinal zoonoses. But there seems to be a general lack of awareness of zoonotic health risks among health professionals. Few veterinarians and medical practitioners regularly discuss zoonotic disease risks of pets with clients and patients. GPs rarely ask about contact with pet stores, exotic and domestic pets, farm animals, zoos and wildlife centres as potential sources of gastroenteritis. regularly taking pets to a veterinarian for check-ups.